Our physical and digital worlds are colliding in ways most people wouldn’t have thought possible just a decade ago. This trend is especially apparent when we look at digital placemaking, which has begun to enhance destination experiences around the globe. What’s digital placemaking? You’ll receive slightly different definitions depending on who you ask, but here’s the gist: Digital placemaking is the intersection of digital media and technologies with the built environment for the purpose of communicating with the public, encouraging community interaction and even play, and creating more livable cities. The practice has its roots in architecture and urban planning, where digital technologies lend themselves well to collecting public input on city projects service improvements. But the idea is quickly spilling out into the art, gaming, and marketing worlds, all of which wish to connect with people in a more immersive way. Let’s take a look at how digital placemaking is currently shaping people’s experiences of cities and the opportunity this presents to the travel industry. We see diverse manifestations of the way digital placemaking has been used to create new, engaging experiences in familiar and perhaps underutilized places. 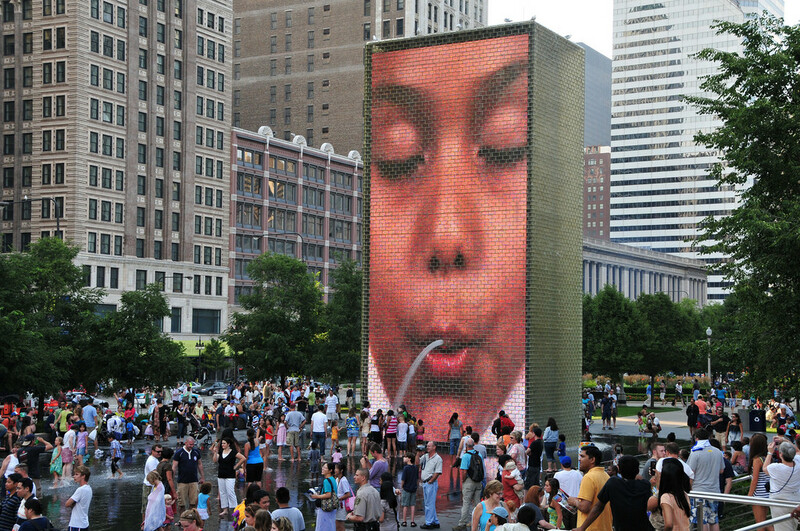 The iconic Crown Fountain in Chicago’s Millennium Park is a great example in which digital elements (videos of waterfalls and resident’s faces) combine with the physical (large glass brick walls, jets of water) to create a landscape both children and adults love to interact with. Augmented reality (AR) games like Pokémon GO and its predecessor, Ingress, require participants to explore their physical surroundings as part of the gameplay. In a different approach, Oh Heck Yeah has designed massive videogames customized to their surroundings in public spaces. These street arcades pit friends and strangers against each other, using their bodies as the controllers instead of their smartphones. Apps are another tool that help to bridge the digital-physical divide. Some invite visitors to interact with monuments and sacred spaces in deeper ways (the 9/11 Memorial apps), some display the events happening near them (Nashville’s AR-enabled app that shows users nearby live music), and others provide information on local attractions and businesses (Google Trips). The goals of digital placemaking and destination marketing organizations (DMOs) go hand in hand. We see this in the examples above, all of which improve the travel experience and encourage exploration regardless of the creators’ intentions. But existing and emerging technologies will allow DMOs, perhaps in conjunction with city governments or other partners, to directly create more engaging experiences that will be a draw for locals and tourists alike. With today’s travellers demanding such engaging experiences, especially those that integrate with their beloved gadgets, wise DMO leaders will start incorporating digital placemaking into their strategies now. 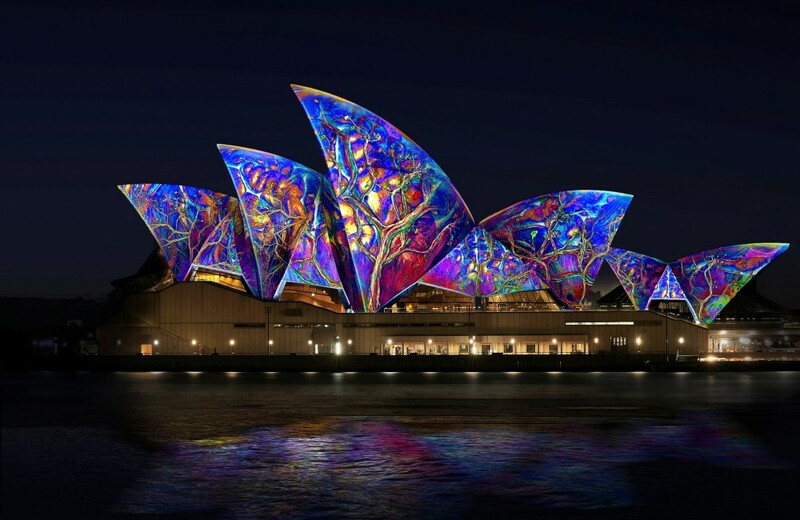 Or if your stakeholders need any convincing, just show them Vivid Sydney, the festival that transforms the city into the world’s largest outdoor art gallery featuring hundreds of light sculptures and projections. This Destination NSW-owned event has been hugely successful, to the tune of 2.3 million visitors during 2016 alone, an aspirational goal for digital-savvy DMOs the world round. What opportunities do you see for digital placemaking in your destination? Hi your piece refers a few times to DMOs – what are DMOs? Hi J, DMO stands for Destination Marketing Organization. Examples include organizations like Destination British Columbia or Tourism and Events Queensland. Thanks for reading!